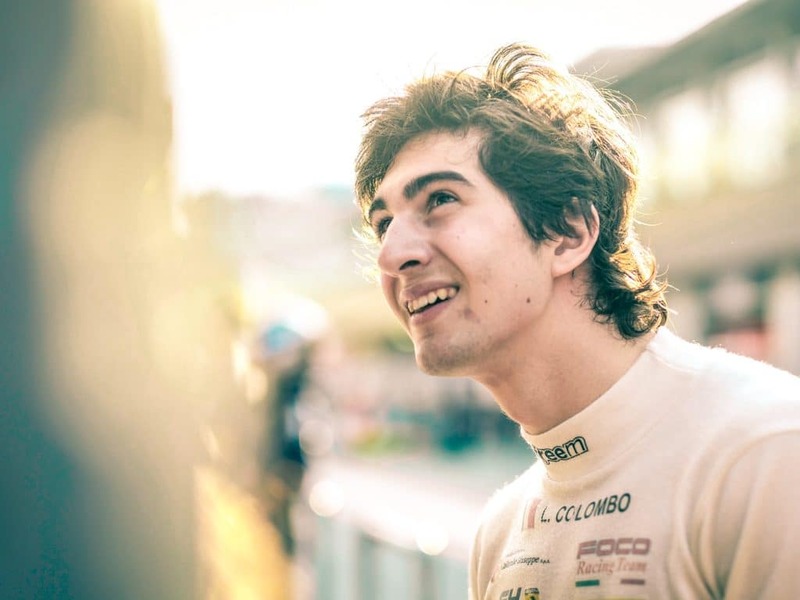 Lorenzo Colombo is an 18-year-old Italian driver who hails from close to the famous Monza circuit. Last year, Lorenzo made a strong impression as a rookie. He succeeded against some of the best young drivers in Europe in the highly-competitive Formula Renault Eurocup, despite not driving for one of the top teams. Lorenzo’s talent has twice led to him being evaluated by the Ferrari Driver Academy. But his lack of big-money backing is counting against him as he tries to make his way up the ladder towards Formula 1. In our interview, we asked him about his experiences. Last season you were able to compete against drivers who were in bigger, more established teams. How do you think it went? I’m happy about the first part of the season because we definitely had the pace to stay with the first guys. I was really surprised because I felt I couldn’t be on top. We knew that we were not in the best team like the others. I definitely changed my ideas when I saw the first three events because I was already at the front with them. But the second part of the season was trickier. Mistakes were made from Friday night to Saturday morning. So when the time counted in qualifying my car was not so good. I was hoping for a top-three finish for the year, but we finished in sixth place. It’s really hard to race against the top teams: They have good drivers and they already know how the car should be set up, and they have tested more. I was really recovering session by session, so I think I’m pretty happy with the work I did with the team. We worked a bit harder in the winter tests and in the end, I think it paid off. What do you think will be the next step in your career? I feel ready to go up to higher categories, but it depends on the costs which are really high. I’m looking for help from a driver academy. That’s why I chose the Renault championship. I just need someone who really believes in me, I think I showed a lot of good things throughout the last year. I don’t know if someone is there, I’m just waiting. But I think I have the pace and I’m ready for higher categories. You have twice been assessed by the Ferrari Driver Academy. How were those experiences? Just being called by Ferrari was amazing for me. I think I am the only driver who was called two times. So I was really happy and proud of that. The experience was really good because you are in a factory team in Formula 1. Every guy there is professional and I learned a lot from them. But in the end, I didn’t join the driver academy because they think more about the money and less about the talent. That’s my feeling, but I think they have reason to do that. But the Ferrari Driver Academy was one of the best experiences that I have had in my career so far. Lorenzo’s experience so far shows that talent in racing often is not enough. You need backing by a sponsor, a driver programme or even better, both. When that’s not the case, more inventive roads could also lead to the top. RaceCoin’s innovative concept of phantom racing, where drivers can test their abilities on different tracks at different times, but compare them in real-time on a virtual platform, is one of those roads. Not only that, but drivers get additional visibility in the virtual world, meaning that potential sponsors might take notice of a talented hobby driver and decide to back him or her on real racing circuits. Good info. Lucky me I found your site by accident. I’ve book-marked it for later! This is the perfect blog for anyone who hopes to understand this topic. You understand a whole lot its almost hard to argue with you (not that I really will need to…HaHa). You certainly put a new spin on a subject that’s been discussed for a long time. Wonderful stuff, just great!